A supplier of machinery for the energy industry who was developing a massive SCADA system in LabVIEW, felt they needed to get assurance that the system was of good quality and was ready for 24/7 operation before delivery to the end customer. The supplier asked WireFlow to do a review of the system, with the goal of finding potential problems to ensure a 24/7 working application, and to highlight any issues that could cause performance degradation over time or increased communication delays. 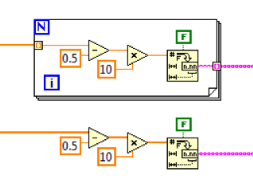 LabVIEW is programmed in a graphical environment, and this more or less requires a review to be graphical as well. You cannot simply say that just because the code is ugly it doesn’t work, but you can offer guidance on how to improve the code for readability and performance. One challenge with a review like this is that the system has already grown so much that it will be hard to do any major changes, just because of the sheer number of code modules that may be affected. Another challenge is that the amount of code to go through is more than you can do in a limited period of time. The secondary goal was to look at the overall design, and if needed propose changes for future updates. Executes in parallel to the application, and requires the application to run – affects the performance of the application to some degree. Memory leaks due to orphaned references and some performance bottlenecks can be detected using DETT. DETT can also help detect unhandled errors etc. Executes in parallel to the application and requires the application to be running – affects the performance of the application to some degree. This LabVIEW tool is also used to detect performance and memory issues. None of the mentioned tools will be able to detect if the code is actually doing what it is supposed to do, so we still have to manually review all the code to find functional issues. In this application we also used a small internal tool for the review to be able to quickly view and log review comments for VIs. First, we needed to decide how the result should be recorded and presented to the team. With limited time and thousands of VIs there is no time to write a report for each single VI. Instead we decided what main issues we would like to detect and present, e.g. All findings have to be recorded so that we can follow up on all issues. In this case all issues were recorded in an Excel document that was transferred to the client’s bug-tracking system. Next we put different priorities on the different types of issues, e.g. 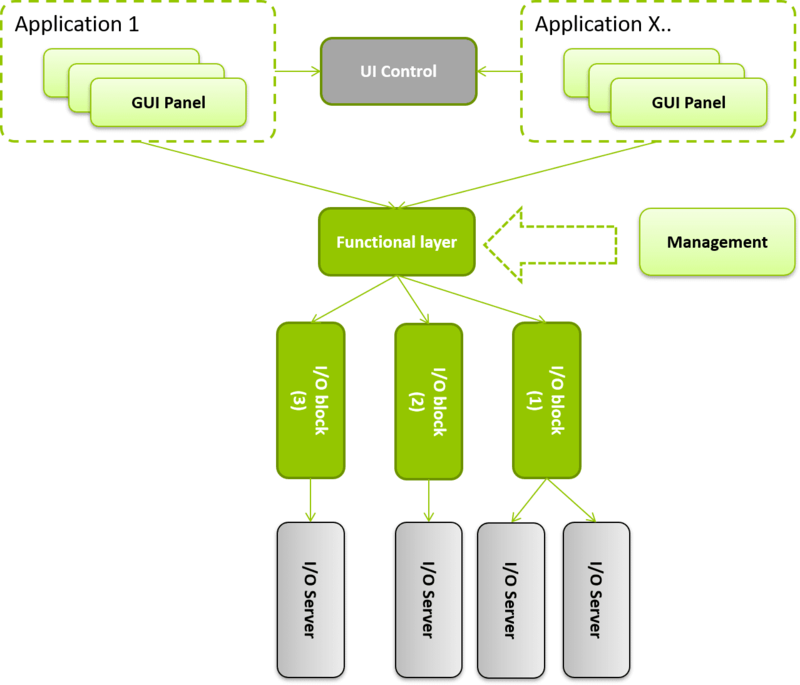 Prio 1 – The highest priority is used for obvious bugs and memory leaks. Code doesn’t execute as intended, e.g. Reference closed in bad locations – causing potential hangs etc. 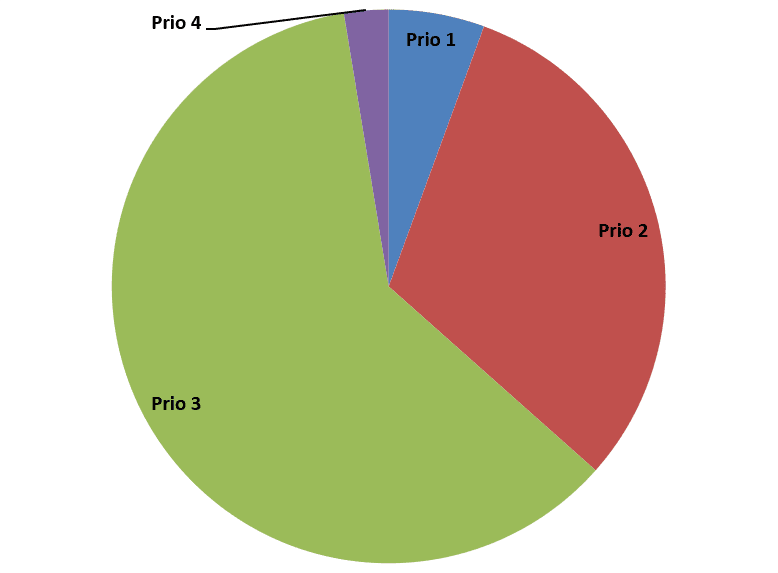 Prio 2 – Refactoring needed, or minor potential bug, e.g. Here there was a decision to focus on Prio 1 and 2, but still record issues of Prio 3 and higher if they were detected. One of the first things to do when reviewing a big application like this is to analyze the source code. 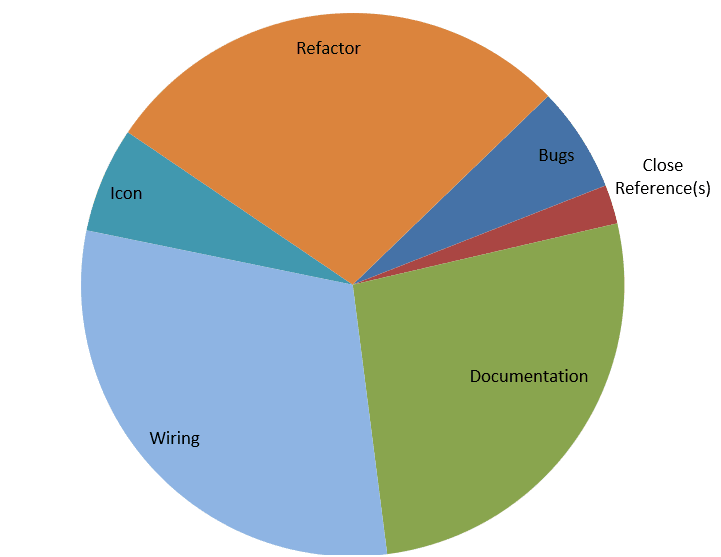 The analysis should be fairly quick, but still give us a feeling of the code quality and should also help us detect the different parts of the application. When we have a feeling for the code regarding size, quality, modularity etc., it is time to find the dependencies between code modules. The dependencies will help us prioritize the work, especially if the amount of time is limited. By focusing on code modules that are used most extensively and that contains critical components, we can identify risks efficiently. The challenge in this case was that code modules were defined by their file locations, and that some dependencies created links back and forth between code modules. To speed up the review process of all LabVIEW files we created a simple LabVIEW application that allowed us to open the next VI to review, and add the comments and issues to the file directly. This tool helped us keep track of how many files we reviewed, and we never had to search for a VI in memory or on disk since the tool opened the VIs directly. It also saved a lot of time because it had support to copy comments from other reviewed VIs, and the same types of mistakes are often seen more than once. Once all VIs have been reviewed and all data has been documented it is time to analyze all the findings and start planning the work to solve the issues. Since the data is logged in Excel, we can easily create some charts to display the results. In this example most of the issues were more or less minor (see Figure 2), i.e. documentation, wiring and icons didn’t really follow any style guide. This is even clearer when you look at the distribution of issues relative the priority (see Figure 3). We had only a few issues that needed an immediate fix. All major issues were fixed in a few weeks’ time, and the product was released. After the review the whole team sat down and had a workshop discussing the issues found during the review. And, because most of the issues were documentation, icon and wiring, a style guide with tips and tricks to avoid future issues was written. Future versions of the application will continue to build on the result of the review. Intra-process communication will be upgraded to avoid future performance issues.